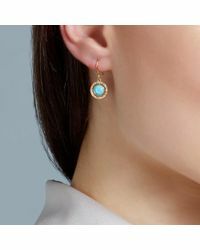 See more Astley Clarke Earrings. We check over 450 stores daily and we last saw this product for $670 at Astley Clarke. 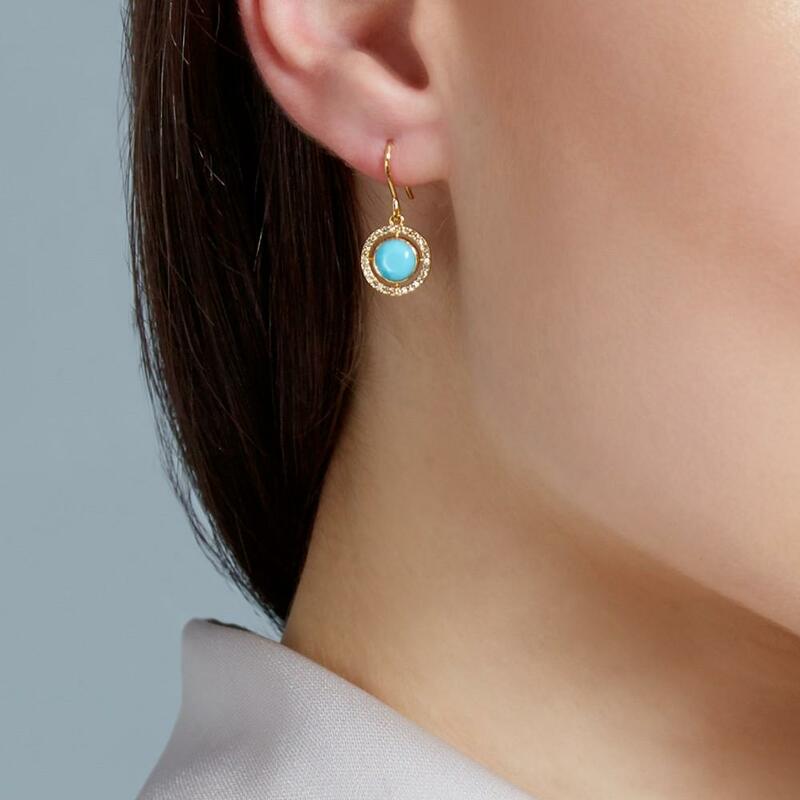 The Turquoise Celestial Fine Biography drop earrings feature two hand-cut turquoise gemstones surrounded by an infinity of white diamonds set in 14 carat yellow gold. 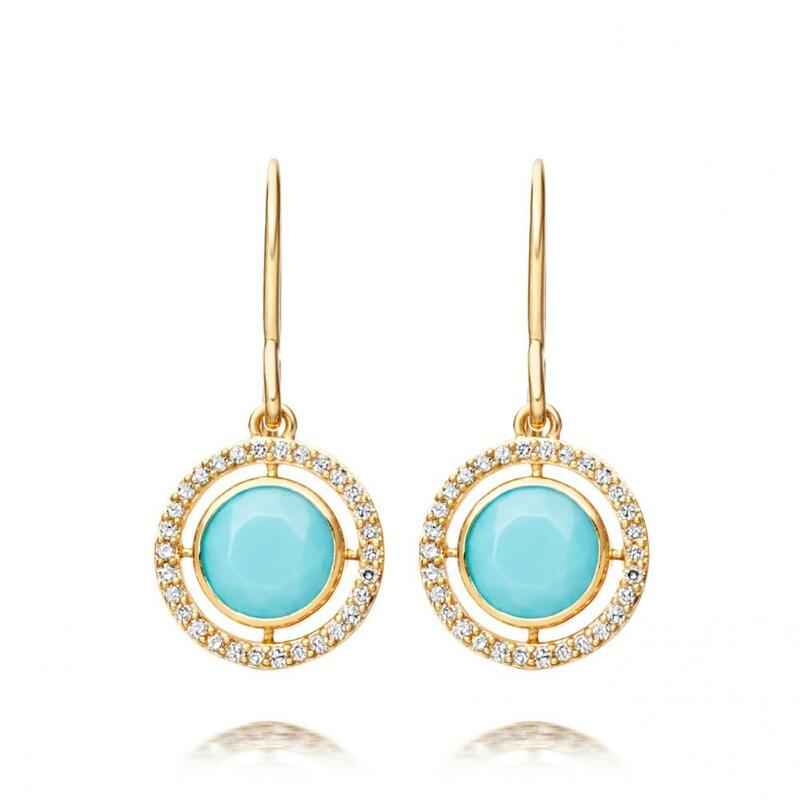 Inspired by the orbital nature of the celestial bodies, these gemstone earrings are the epitome of relaxed luxury. Collection. Fine Biography. Gemstone. 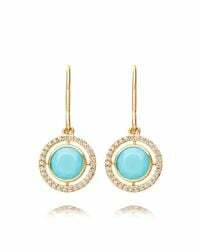 Diamond, Turquoise. Diamond Specification. 0.18ct Light Grey. Dimensions. 10 x 1.6mm. Metal. Yellow Gold. Metal Type. 14 carat Gold. Earring Drop. 10mm. There are currently no reviews for this product.